A rare Monday even guitar recording session was a instant guitar chord progression propelled by my Seagull Artist Series Studio CW guitar, and it led me to plug into Garageband to record and play around with some lyrics. About an hour and a half later, the full demo was finished. This one has a unique sound, which always makes me smile, and I even approached the vocals in a fresh way, it almost has an island sound to it. The lyrics further developed the coastal theme and I like the feeling and a little sadness behind it, yet there is an uplifting message in the third verse. 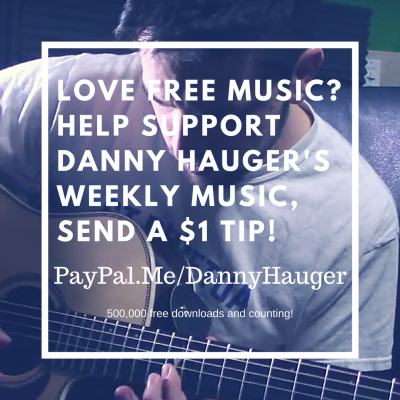 I hope you enjoy it, download, and share it to help promote my music. The finished version of "A Lot to Ask" will appear on my next studio album! Thanks for listening!